Food and non-food items were handed over to 328 internally displaced people in Batcham, on 18 September, 2018. Some 328 families, who are victims of the socio-political crisis in the North West and South West regions, now seeking refuge as internally displaced persons (IDPs) in Batcham, Subdivision have received humanitarian assistance from the Cameroon Red Cross Association (CRC). 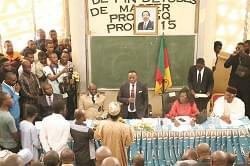 The ceremony took place in Batcham on 18, September 2018, and was presided at by the 2nd Assistant SDO for Bamboutos, Mouhama Salissou. The distributed items estimated at millions of francs CFA, included; 990 bags of rice, 330bags of salt, 17 cartons of soap, 656 buckets, 348 blankets, 700 exercise books, 900 English text books, Mats and 100 plastic chairs, were handed to the 328 families by Mrs Cecile Leonie Akame Mfoumou, national president of the Cameroon Red Cross Association. Addressing the internally displaced persons, Mrs Akame Mformou regretted that the crisis in the two Anglophone regions, has had major detrimental impact on the population and the development of the regions, insisting that hundreds of people have been displaced and many left handicapped on both sides. She said the food items and other gifts are to assist the recipients to temporary overcome the challenges posed by the crisis and the change in life and its consequences. 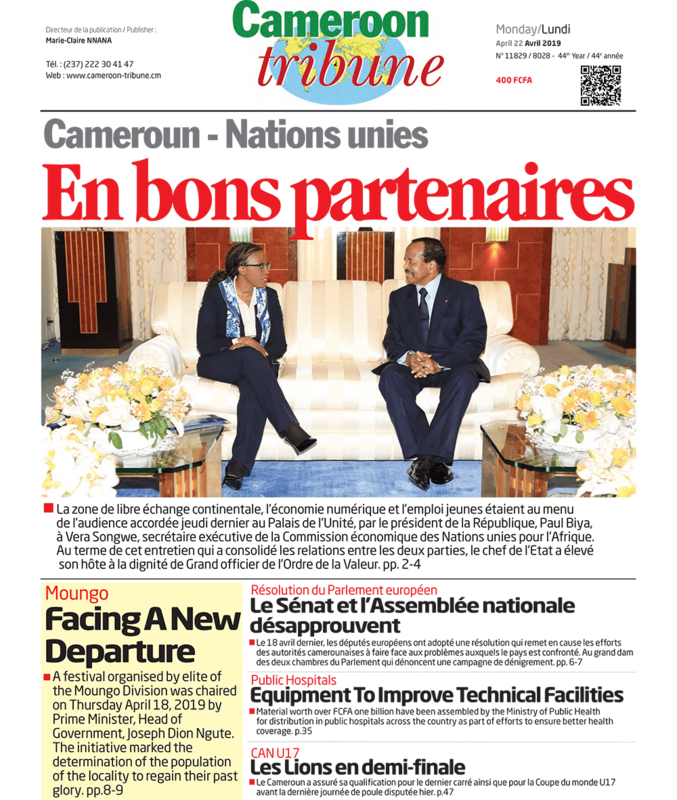 Mrs. Akame said an overwhelming majority of Cameroonians desire an end to the long crisis which has caused major setbacks in the regions development in addition to human suffering. She announced that the humanitarian assistance will be carried out in all eight divisions of the West regions in the weeks ahead. 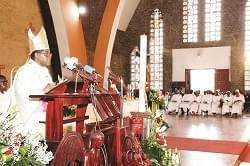 For his part, the representative of the victims thanked the Cameroon Red Cross for their gesture, adding that a potential reward of peace for any society is immense; pleading that return to stability will result to incalculable benefits.